Tap 9 area to park hands. Tap top sub dial to cycle time modes. 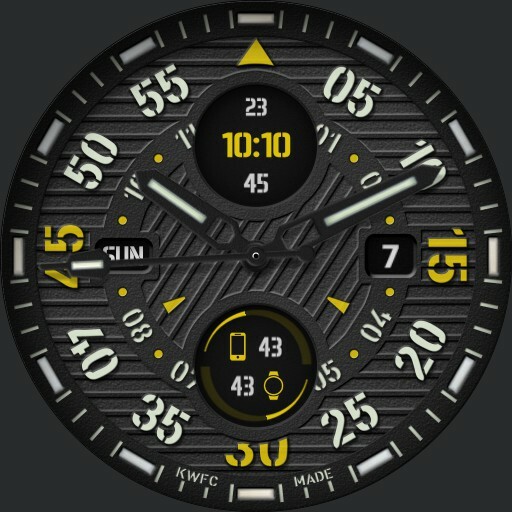 Tap bottom sub dial to cycle weather/health/compass modes. In stop watch mode tap between 10 and 11 to start/stop and tap between 1 and 2 to reset. Features UCOLOR for active/bright accents coloring.